Will Investors Benefit From An Independent Scotland? An independent Scotland will only be viable if investors deem the country worthy of further capital. The date of the referendum is only days away. At the moment the polls show a very close vote between those in favor and those opposed. Outside all the political fanfare one must question will Scotland be able to muster the resources necessary to chart an independent course? The referendum is mostly being decided on identity and power. More emphasis should be placed on the calculation of taxes and oil revenue. It is expensive business setting up a new country. 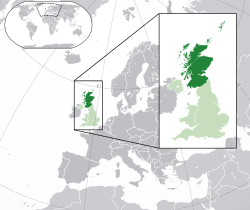 Scotland encompasses one of the four countries that make up the United Kingdom (UK) which in addition to Scotland includes England, Northern Ireland and Wales. That Scotland already controls many of its own affairs seems to be lost in the fervor and excitement of the referendum. The country already has been permitted its own legislature which has increased it’s power over more and more aspects of the economy and society of Scotland. The leader of the independence movement Alex Salmond wants to undo the union that was achieved in 1707 during the reign of Queen Anne. 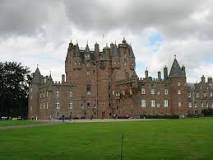 What made unification possible was since 1603 the Kingdom of Scotland has shared its monarchy with England. When Elizabeth I died without an heir, the Tudor Dynasty ended. She left her throne to second cousin James VI of Scotland of the Stuart Dynasty. 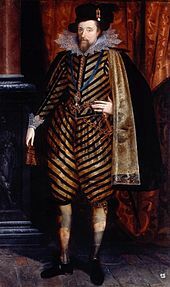 He became James I of England. A little more then a century later, the United Kingdom came into existence. This long history is important because over the following three centuries, the national economies of these two kingdoms became well integrated. They share a common history, language, currency and national government. The common cultural traditions start with the head of government today. The reigning monarch Queen Elizabeth II ’s mother was Scottish and her sister was born there. 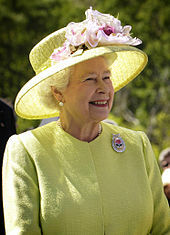 The Queen grew up in Scotland and spends most of the months of August and September there on an annual basis. During this time she resides at Balmoral, a royal summer residence since the days of her great- great grandmother Queen Victoria. The Queen is careful to honor the traditions of all the areas that make up the United Kingdom. This is the case for most political leaders of the country as well. The GDP (Gross Domestic Product) per capita of Scotland is higher than Italy. If one includes the supposed geographic share of North Sea oil and gas the GDP per capita exceeds that of France. GDP growth was lower in Scotland than in the rest of the United Kingdom. The dispute over the energy resources of the North Sea will be arduous and unlikely to give an independent Scotland as much as they wish to claim. This will matter greatly as the new nation attempts to finance government sponsored social programs. Scotland however, was above average in the United Kingdom securing new Foreign Direct Investment in 2012 and 2013 if one considers the number of actual projects. Although it must be said that Wales and Northern Ireland did even better. In 2014 foreign investment had reached its highest level in 16 years. Only London holds a higher status as a place where foreign firms want to do business. The increase of foreign projects increased from 76 to 82 within the country. Scotland has been fortunate that the majority of these undertakings have been spread throughout the country which helps overall development of the area. The question is will this continue if Scotland becomes independent? Despite the increasing investment the number of manufacturing jobs attributed to this investment is declining for a second year in a row. It has fallen from 4,876 to 4,165. In 2013 the UK average for manufacturing in new foreign investment was 16%. Scotland did slightly better with 18% of the total. However, this was still a decline of 32% from 2012. Where is most of the foreign investment coming from? The largest investor is the United States (US) at 39.5% of the total. The country is much more reliant on investment from the U.S. than the rest of the United Kingdom. The other top foreign investors include Canada, France, Ireland, Norway and Sweden. A greater share of the total from these countries end up in Scotland than anywhere else in the United Kingdom. Emerging economies seem to be less enthusiastic with Scotland in relation to the rest of the United Kingdom. 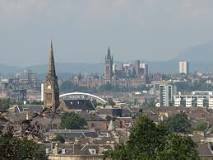 Scotland will find increased competition from London and the geographic area of southeast England in the years ahead whether the country remains as part of a larger political configuration or not. Manufacturing typically provides the best opportunity for higher paying jobs. Foreign investment is therefore vital to the future of Scotland. Though jobs in manufacturing are declining at present, there is a rise in foreign investment projects that relate to research and development. 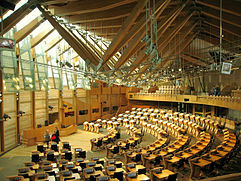 Scotland traditionally has been in relation to its size a leader in science and technology in the United Kingdom. The continuing flow of foreign investment, adds credence to the claim of the leaders that are promoting an independent Scotland that the country will do well as a singular entity. What leaders of the pro independence movement are not telling you is that a number of companies are already moving their clients’ money elsewhere to avoid the possible turmoil that may result if Scotland becomes independent. This allows one to come to the conclusion that the referendum itself, has hurt the economy of Scotland. There are a number of investors that are avoiding the United Kingdom altogether because of the uncertainty of this referendum. It will first effect the currency immediately. A yes vote will hurt the value of the British pound. The worth of the pound is expected to decline by at least 5%. The pound is already at a 10 month low against the US dollar (3 month low against the Euro). It will also negatively impact returns from assets, that are denominated in the pound. Investors need to be aware that the national government in London has already stated that Scotland would not be permitted to retain the currency of the United Kingdom. This brings additional uncertainty to present and potential investors. On the other hand, a weaker pound would benefit exporters of British goods. As a result this would help the export earnings of many firms that are located in the United Kingdom. For a number of companies this will make a big difference in their bottom line. The functional changes that will occur in Scotland once independence arrives, will force a number of companies to change the way they do business especially if they have operations elsewhere. Shares in Scottish companies have already declined sharply. Productivity will take a hit with medium sized companies shouldering the largest proportional cost. The recent sell off in the markets of the United Kingdom will likely accelerate if Scotland decides to go it alone. UK assets will be on sale. This might provide an opportunity for some investors who prefer riskier opportunities. UK government bonds will most likely be downgraded causing yields to rise on such devices. The outflow from UK equity funds have accelerated as the likelihood of independence for Scotland has increased. The growth in GDP for the UK as a whole will be negatively impacted by a vote for independence in Scotland. Most experts put it at 0.75% in lost growth for the next 12 months. This would be about 25% of the expected growth for the rest of 2014 and 2015. A yes vote will most likely delay any rises in interest rates to at least mid 2016 or even later. Therefore cash and bonds will be less competitive in comparison to investing in stocks. So the hit the UK stock market will take in 2014 may well be reversed in 2015. Of course, a no vote would bring an immediate rally in the stock market. The pound would strengthen once again hurting the profit margins of exporters. If the vote is close, it may very well make investors wary in fear of another future referendum. That would hurt the stock market over the long term. Most of the economic problems associated with a breakup of the United Kingdom will be experienced in Scotland. Uncertainties over new tax structures and regulations will hurt new business development. A large number of financial firms are currently sited north of the English/Scottish border. Some of these companies may decide it is easier to move south towards London than deal with the uncertainties of independence. These institutions include such well known names as the Royal Bank of Scotland, Standard Life, Aberdeen, Alliance Trust and Baillie Gifford. It has been calculated that costs will increase for all customers if independence is achieved. Another troubling issue for Scotland is that the assets of financial firms will exceed the GDP of the new country by 12 times. This creates a huge liability for Scotland as well as possible danger to depositors. 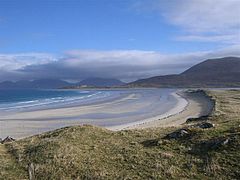 Many customers may well decide to relocate part of their portfolios in England, or other parts of the United Kingdom. The unemployment rate in Scotland mirrors the rate of the rest of the United Kingdom at 6.6%. However, a yes vote may very well bring higher unemployment in Scotland as a number of companies decide to migrate south. New jobs will be created in Scotland as a result of independence, but they will be public sector jobs that will be paid for through the public treasury. As a share of GDP the country of Scotland has a lower fiscal deficit as well. However independence will most likely change this, as the cost of running a country is factored in. A newly independent Scotland may begin it’s future with a sharp recession, while a variety of issues are settled with the remaining parts of the United Kingdom. It is already planned that this process will take 2 years. This time period will bring about more uncertainty in the markets which is not a good sign for investors. In addition the newly independent government has already stated that it plans to increase government spending. This is one reason why the English are insisting on a separate currency for Scotland. The dispute over military installations, especially nuclear naval forces will be problematic. 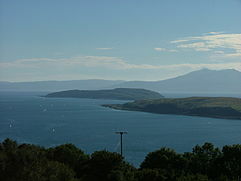 They are located in Scotland for geographic reasons and a settlement will not be easy. 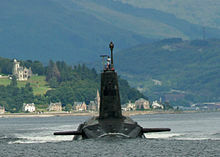 The removal of all nuclear forces as would be demanded by an independent Scotland, will be costly to both sides. The English would need to build new facilities to the south. The economy of Scotland would take a hit as personnel are relocated to other parts of the United Kingdom. The question that investors need to ask is the economic viability of an independent Scotland. The country would have a population of 5.3 million inhabitants. The country would encompass a total of 78,387 km2 the equivalent of 30,265 square miles. The GDP would be between $200 and $300 billion USD (United States Dollar), This would be the equivalent of 125 to 185 billion British pounds and 150 to 230 billion Euros. Scotland under the control of the Labor Party has invested heavily in social programs. Although the Scottish nationalists would like to blame all what ails the country on London, the reality is somewhat different. The decline in manufacturing has more to do with corporate outsourcing to Asia than any distinct policy initiated to the south. The overall economic facts are also not in favor of nationalists in Scotland. Although it is true that oil revenues would rise, earnings would depend on the world price. Therefore the income derived from this source is erratic and slowly being depleted. Spending in Scotland by the central government in the United Kingdom is 1,300 British pounds per person higher then elsewhere in the union. It is most likely that in order to maintain the lavish social spending that taxes will need to rise somewhat. More so as the energy reserves of the North Sea become depleted. It is important to note that the industry itself, will need major investment in the years ahead, to keep the flow going even if the amounts are reduced. For the years 2012 to 2013 oil revenues would of netted Scotland 5.5 billion pounds far below the 11.5 billion pounds that would have been earned between 2008 to 2009. Scotland has also flirted with the idea of not shouldering their share of the existing national debt. Such action would increase the debt to GDP ratio in the rest of the United Kingdom from 77% to 86%. This is just political talk. In the end they will have to negotiate on this point along with a host of other issues. Some things are certain. If Scotland leaves the United Kingdom they will no longer be part of the European Union. This would effect exports and market share of Scottish products. Of course they can apply for membership on their own but this will take time. Of course remaining with the United Kingdom may well see an exit from the European Union regardless, since a referendum is being scheduled for this issue in the next few years as well. An independent Scotland will likely need to take on some 100 billion pounds of national debt. This is the equivalent of $161 billion USD. The new Scotland will therefore be saddled with high debt, a rising fiscal deficit, and weak economic growth. The lack of institutional infrastructure and foreign exchange reserves would suggest that interest rates for borrowing, will be higher for Scotland than the rest of the United Kingdom. This will make Scotland a far less attractive place to invest. The disingenuous nature of Mr. Salmond can even be seen in his attitude towards the monarchy. Knowing fully well that the Queen cannot publicly respond to the politics of the referendum, he has claimed that she would find separation to her liking. When she discussed the possibility of political division back in 1977 (the only time she did so) her comments indicated quite the opposite. Only within the last few hours did she finally make the statement that voters in Scotland, should consider their choice carefully. Elizabeth II is popular in Scotland so Alex Salmond is not calling for the abolition of the monarchy right now. However, he has promised a referendum on the issue years ago. So to give vocal support to a Queen who is 88 is not difficult. Her son and heir the Prince of Wales, is far less popular. It would not be good form for Mr. Salmond to push for abdication when the Queen is less than a year away, from being the longest reigning monarch in British and Scottish history. Queen Elizabeth will break the record of Queen Victoria next September. Elizabeth II will then have been on the throne for over 63 years. The leaders of the independence movement who are more democratic in nature, can afford to wait if the referendum on separation goes their way.